Here’s what happens when you are married to a food blogger. You come home from work with the perfectly reasonable expectation of having a normal dinner. But lo, your food blogger spouse has had a brainstorm during the day that if there were cake pops out there in the world, why couldn’t there be cheese pops? 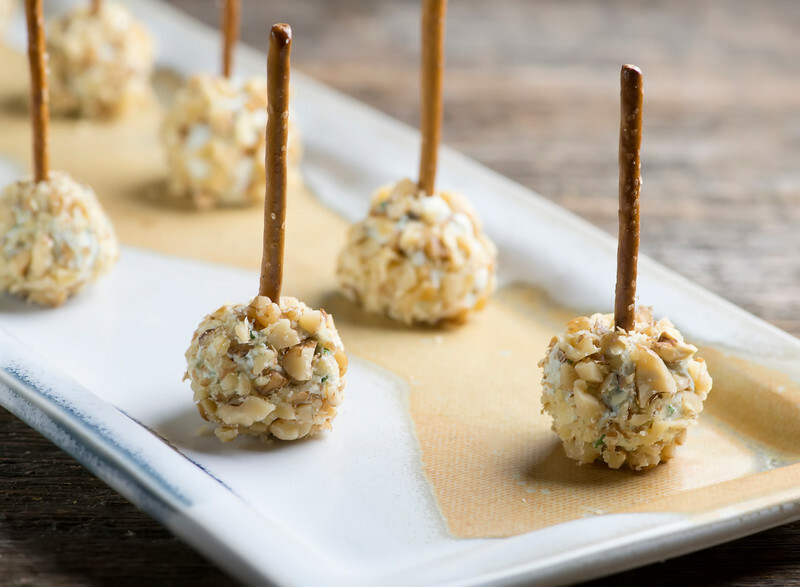 As in, soft little balls of blue cheese and cream cheese and chopped chives and black pepper, rolled in chopped walnuts with a pretzel stick for easy holding. And so instead of your nice normal dinner, guess what you eat that night? Yup. Cheese Ball Pops. Not that the Southern husband did ANY complaining. 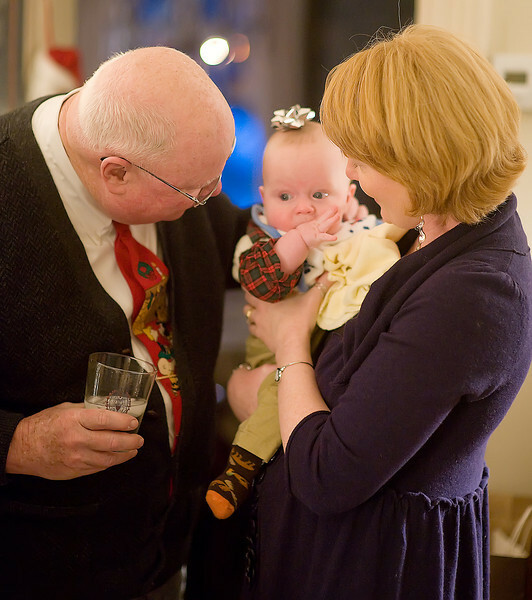 He is remarkable merry about going along with whatever crazy recipe pops into my head, and the whole cheese pop thing just had to be done. Not only because I love the idea of them – I mean come on, cheese balls on an edible stick? – but because THIS is happening soon. Yup, the holidays are right around the corner, and it’s time to start stockpiling those fun and different and EASY recipes that will not only make the days merrier, but will allow the cook to have a decent amount of time in a room other than the kitchen. And these cute little guys definitely fall into that category. You want about a two to one ratio of cream cheese to blue cheese. So for an 8 ounce package of cream cheese, use about 4 ounces of blue cheese (and this is a recipe that can be increased endlessly). Mash the two cheese together and taste – and if you want things more blue cheesy, feel free to add more. It’s a flexible recipe too! Now mix in some chopped fresh chives and some ground pepper and then roll them into little balls – no more than an inch across. This works best if you wet your hands with water while you are rolling – less stickage! Now pop them in the fridge to solidify a little. This will take about two hours – and if you want to make them the day before, that is perfectly fine. When you are ready to serve them, roll them in some chopped walnuts and pop in the pretzel sticks (don’t do the pretzel stick part ahead, because they will get soggy if they sit in the cheese balls for long periods of time). Put them on a pretty platter, stand back and watch them go! Just don’t stand too far back, or you might not get one for yourself. Unless of course you are serving them to your significant other for supper, that is. Mash cream cheese and blue cheese together. Taste and add more blue cheese if you want it blue-cheesier! Mix in chives and pepper. Wet hands with water and roll into 1 inch balls. Refrigerate 2 hours or overnight. When ready to serve, roll in walnuts, pressing a little so they adhere. 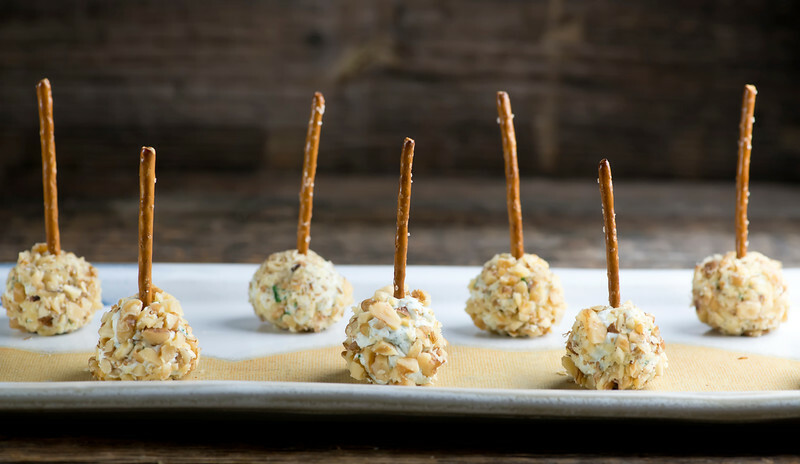 Insert pretzel sticks into the center of each ball (don’t do this part ahead or the pretzels will get soggy) place on a pretty platter and serve! Absolutely brilliant! I make blue cheese grape truffles frequently, but this is so much easier. Thanks! Do you think these would work with another kind of cheese, my family is not big on blue cheese. Nice and easy and quick, great idea!!! Sure! You could do a finely shredded cheddar in with the cream cheese. You could also use goat cheese, which has a nice creamy texture.